Lego is one kind of a toy which interest more and more about people as it involves a lot of creative building work. A Lego can be considered as a piece of the block and each and every single Lego is of different shape and size. Using these Lego blocks a person builds his imagination and in other words a Lego player can build any stuff he sees, the only thing is that he really needs to have a creative mind to do that. It might seem as a toy, but building a perfect Lego is mastering any sort of job. The actual work profile of all the architects involves structures and engineering. Similarly a person with a Lego building talent can become an architect in a future where he can use his Lego building skills in the actual existing world. Lego has a rather unique way of recruiting their master model makers. They not only use interviews and tests to select their ideal candidate, but they also make them compete against each other so as to showcase a beautiful model based on the ideas that they are given. It also gives them the chance to showcase their models and work through a wide range of audience by presenting them in various LegoLand amusement parks which is situated in 16 countries around the world. Therefore, a Lego lover can have a chance of becoming an architect, if he really tries to be one of the greatest architects. Moreover, these Lego buildings provide knowledge about smart work than a hard work. An architectural and civic drafter is a person who handles all the designing work of the building. The main job of the drafter is to provide the necessary designs and drawing of the different structures and projects that the architect designs and produces. They also record the shape, size, dimension and the structural measurements of the project so as to give the architect a basic idea about how the final design will look like in real life and how it is possible to design a large structure intact. Unlike the old methods where drafters had to use pencils and other drawing equipments to produce a detailed drawing, these days their work heavily relies on computers and other drawing software such as CAD. Most of the job profile involved being an architectural and civic drafter that constructs a draft of the building which can cover all the necessary elements for the construction of the building. Therefore, most of the Lego lovers can handle such level of intensity in their work. As most of the Lego lovers build a certain lego design using those Lego. Similarly, an architectural and civic drafter builds a same design using some real elements of construction. A preschool teacher job seems as an easy job to pull off, but the actual truth is that being a preschool teacher a person need to handle all the activities of the kids, but the most important part of their job is that they should know how to keep their kids busy in the school. Instead of playing some dumb game of no use, a preschool teacher can initiate a start for the Lego games which involves all the brain storming stuff. It is to be noted that at a very young age, it is important for the children to have their brain stimulated through various games and puzzles as this could provide a positive development to their intelligence. It also helps them to develop their problem solving skills and help them to form a good foundation in analytical reasoning and solving. If you are a teacher who is interested in incorporating Lego as great teaching equipment to children, then being a preschool teacher is a good choice. This is also a great way to introduce children to the Lego world and make Lego more exciting and fun to play for them. 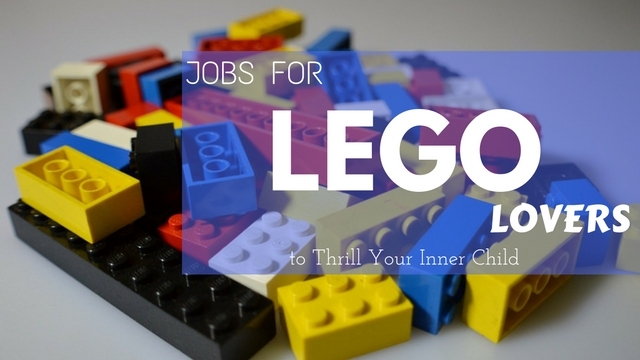 Hence, a Lego player can also become a preschool teacher because of their interest over these games. The nature of work that involves while construction of the building is that they should analyze all the materials required to complete the construction. Similarly, a Lego player understands all the shapes and size of every single Lego and he designs a piece of work using those Lego in a perfect place and at a perfect time. The one in construction manager job is expected to verse the construction project and make sure that they, the laborers are doing the work right. Their job also consists of making sure when the work is completed and also ensures that there is no wastage of money and resources hence they handle all the logistics and management processes that go into making buildings and structures. There is a possibility that all the working environment and nature of the Lego playing results in some sort of construction or building or designing work. And in that list of works, graphic designer jobs can take stand as well. One might wonder how the job of a graphic designer and the hobby of Lego building go hand in hand. This is because the graphic designer is not seen doing any physically demanding jobs such as building, construction, fabrication or working with any type of hardware. But one aspect that they have in common with Legos is the ability to express their imagination and creativity through their work in the form of lines, shapes and various fonts. Lego are also used to express ones imagination and creativity through the structures and designs they make only with the help of Lego bricks. This also makes the person to utilize the available resources carefully to make an inspiring or an eye catching result. Moreover, a Lego player designs all the cool stuff for the Lego building. Similarly, a graphic designer provides all sorts of graphics which can be mesmerizing for all the people. Therefore, as per the work profile of the graphic designer a Lego player can maintain a same level of intensity towards his work. The maintenance manager job includes undertaking of all the managing work of the building maintenance. A maintenance manager is a professional who has the job of overseeing the general functions of a factory or a construction site. Their job includes maintaining and taking care of a lot of aspect such as making sure that the machinery is working fine, trouble shooting the various software, making sure about the welfare of the employees and also acting as a bridge between the employers and the employees. A maintenance manager should always be ready and alert about various emergencies that can occur during work. Lego in a way also helps to achieve the above mentioned targets. It might seem like a total different area of the work, but actually there a lot of similarity in the work of the maintenance manager and the Lego player. Therefore, it is necessary to understand all the smallest elements of the Lego builders and maintenance manager clearly so that there won’t be any confusion later on. It might seem that an analyst needs to analyze all the things around them. The work of a Lego lover is similar to an analyst because their work involves all sorts of design analyzing work. The data analysts are expected to collect data analyzed and use this information to make predictions that can be beneficial to the future of the company. They require a lot of time and hard work to get the necessary data and use reliable information from the industry just to get a good result. Therefore, before making any solid statements about these analysts and a Lego player, a person needs to know and understand all the factors of these two job profiles. Moreover, playing Lego can lead someone to be one of the analysts in one of the company. Most of the work of the operations manager consists of all the working environment of the construction manager. And the nature and environment of the work which handles all the necessary changes and requires necessary detailing about the construction, then an operations manager delivers his art of work so that the construction work gets completed without any confusion in the future. They also are the ones responsible for the completion of the project and also providing the necessary resources and capital to the works in order to complete the project. People who are in this profession have the task of managing both the materials and resources and also the welfare and condition of the personnel for the job. Their main duties include taking care and keeping eye on the inventory , make sure that the resources are not damaged or wasted and also inform if there are any shortcomings or issues that needs to be solved for the welfare of the workers, like poor working conditions. An operation manager has the ability to manage and oversee the various works that takes place in a project and also ensure that the employees are doing a good job of providing a satisfactory and efficient result. Therefore, a Lego lover, plays Lego with complete clarity can become a best operations manager. One of the common things that a Lego lover and people working in the field of building and construction have is that they should handle all the work of structures and designs in a complete different manner using their imagination. One can see how the role of an engineer and the art of Lego making go hand in hand. Engineers are professionals who are supposed to make new inventions that can benefit the mankind by utilizing the available knowledge, materials and capital. In the same concept, Lego making also requires creating structures and buildings that showcases how well the individual has used their creativity to make something that is attention grabbing and very insightful to see and understand. Both engineers and professional Lego builders have to make use of their creativity and knowledge to create structures and buildings that is eye catching for people. Similarly, when it comes to an engineer, he needs to execute this work of art with the help of his experience and knowledge about the construction stuff. That is why most of the similarities lead to a conclusion that a Lego player can become a well qualified engineer in the future for sure. Lego is a very creative and interesting game. Lego also provides a much needed stimulation to the brain and makes it more active. Those who play Lego or any other similar puzzle games have proven to work efficiently after being subjected to constant pressure and deadlines, hence producing satisfactory results and a high efficiency. These people know how to stay calm and composed under pressure similar to how they are, when they play a game of Lego. Therefore, interested people who are curious about Lego can read all the above discussion on the matter to avail more information.